1. LOAN AMOUNT BALANCE SHOULD BE MORE THAN 50K. 2. LOAN AMOUNT ELIGIBILITY WILL BE AS PER INCOME CRITERIA. 3. LOAN FOR BALANCE TRANSFER SHOULD BE MEET THE PRECLOSURE POLICY OF THE EXTERNAL BANK. 4. CIBIL SCORE SHOULD BE ABOVE MINIMAL BENCHMARK . 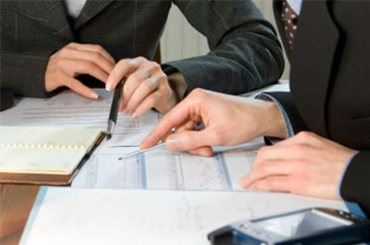 Personal Loan Track of the Existing Loan. Request Letter for Balance Transfer. Fore closure letter from External financer. By this initiative the Banks taking over the Personal loan are assured of an increased turnover with a minimum default. To Lure good customers & convince them to transfer their Loan account, better terms & conditions are offered such as a minimal Rate of Interest & processing fees. 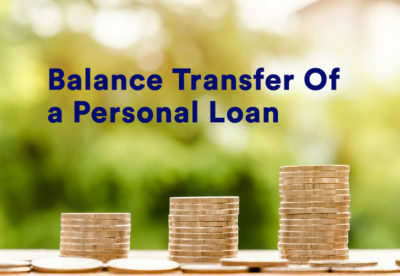 The term Balance Transfer of a personal Loan means that an existing Personal Loan customer can transfer the Principal Balance amount of Personal Loan remaining to another Loan provider of her/his choice. Leading Banks offer numerous benefits to existing Personal Loan customers who have been paying their monthly instalments on time. Major benefits offered to customers include. Reduced rate of Interest starting from 11.29% onwards. Increased Loan amount at the same rate. A chance to reduce the current EMI. Before applying for Balance transfer an applicant should check if the current Personal Loan is eligible for a transfer & if the current Bank with which the Personal Loan is running will allow you to pre close the Loan. There may be foreclosure charges levied by the parent bank on the principal amount balance. Given below is an illustration of savings. A Personal Loan is quick finance available at the time of need. If a Personal Loan has been taken in an emergency there might not have been enough time at hand to survey the market for the best terms & conditions available. For a lower Rate of Interest– Banks offer the best rates are available for a Personal Loan Balance Transfer of Customers with a good track record of timely payments. Customers who are paying an inflated rate of interest should consider taking a Balance transfer of their personal loan as soon as permitted. To reduce the current EMI – If paying the current EMI is becoming a burden on your budget it is good decision to take a Balance transfer of you personal loan. A lower EMI can be achieved by increasing the tenure for which the Loan has been granted. It is important to plan your finances & apply for a balance transfer soonest. Default or delays in payments should be avoided at any cost. “To get an additional Loan amount or Top Up“-The rate of interest offered for a Balance transfer is also valid for additional funds required. Together with a request for Balance transfer of the Personal loan apply for the extra amount you need as a top up to the original loan amount. 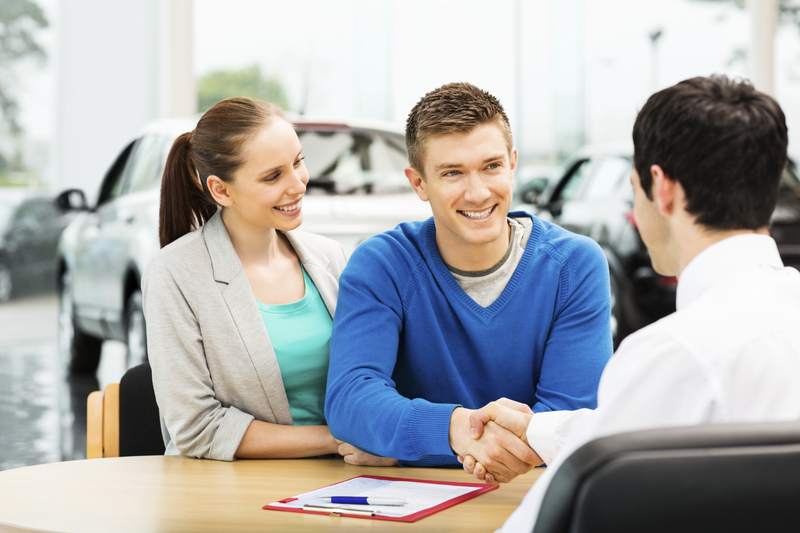 Get the additional funds in a single loan, with the lowest rate of interest. To create additional eligibility – All Banks have a system to calculate the maximum Loan amount that can be lent to a loan seeker. This loan amount is calculated as per the income earned & the total obligations including loan EMI’s & Credit Card outstandings. There should be a sufficient salary balance with the customer to meet the expenses of day to day living. If at this juncture there is a plan to buy a new Home or a new Vehicle & an additional Loan is required, create additional eligibility by taking a Balance transfer, so that your new loan application is successful. Being ahead with your financial planning always works to your advantage: Making a decision to take a balance transfer of your personal could be for any of the reasons cited above or for simply not being satisfied by the services of your current Personal Loan provider. Given below are the steps that can be followed to achieve a successful transfer of your current Personal Loan. Only seek to apply for a Balance transfer of your Personal loan if the current personal loan terms & conditions are conducive to the Balance transfer i e; that the minimum no’s of EMI’S to be paid as per the pre closure clause are over. The Current Rate of Interest & processing fees. The EMI you will be required to pay after opting for the Balance transfer. The new EMI for the total loan amount after the Balance Transfer. The pre closure terms & conditions of the Bank offering to take over the Personal Loan. Contact us at www.yourloanadvisors.com to get a detailed & comprehensive presentation of your Personal Loan Balance Transfer .We help you to apply & complete the entire process at your convenience. To initiate your application for Balance transfer, first apply for the statement of account of the current loan, this will determine the principal “balance amount outstanding” for Balance transfer, this statement is to be submitted along with the requisite documents. The process for Balance transfer is similar to that of a fresh loan. The Bank will process the loan application as per its regular verification & approval process. After the Loan application is approval & an agreement is signed, a bankers draft for the amount of Balance transfer is handed over to the applicant. Any pre closure charges if applicable can be included in this amount. The applicant is to close his previous loan by depositing the draft & obtain a receipt for the same. Henceforth a new Emi will start for the loan amount transferred & any extra amount added. This completes the process for the closure of your existing Personal Loan & start of your new loan account post the Balance transfer. Balance Transfer of a Personal Loan involves the taking over the outstanding loan amount of an existing loan. An external financer can offer to transfer the principle loan amount balance: if the terms of the personal Loan running adhere to its policy. The Principal loan amount refers to the Original Loan amount which has been borrowed from the Bank. The principal loan amount reduces with the payment of the monthly EMI. The balance outstanding of the principal loan amount will be taken over when affecting the Balance Transfer of a Personal Loan. The number of EMI’S to be paid/ tenor. The principal & interest quotient of each EMI. The principal amount balance after the payment of each EMI. The total loan amount paid back to the Bank. The monthly installement or EMI as is commonly known, is the instrument for paying back the Personal Loan .To recover the loan amount, a Bank or financial institution will deduct from the Bank account of the applicant equated monthly instalments (EMI) comprising of the interest & principal every month as per the tenure. The EMI for a personal loan is calculated @ monthly reducing balance & remains constant for the entire tenure. The ECS is offered by the Reserve Bank of India as a system for faster collection collections & payments. To recover the monthly EMI due through the ECS mandate, an authorisation form is signed by the applicant as part of the Personal Loan agreement. Henceforth the EMI is debited at a fixed date month on month for the Tenure of the Personal Loan. The tenure is the duration for the pay back of the Personal Loan. The tenure for a Personal Loan ranges from 12 months up to 60 months: It is finalised at the time of the Loan disbursal & cannot be altered. The EMI is deducted from the Bank account of the applicant for the duration of the tenure. It is fixed by the Bank as per the customer requirement & the payback capacity. Requirement for any additional amount can be applied for with the request for Balance Transfer, this amount is known as a Top Up. Thus the loan amount applied will include the principal balance of the previous loan amount & the additional amount required. The Rate of interest & other terms & conditions applicable for a Balance Transfer will be valid for the total loan amount. If a personal loan holder wants to return the loan amount borrowed from a Bank or a financial institution before the completion of the loan tenure it is called a pre closure. The pre closure of a Personal loan is governed by the Pre closure terms of the Personal loan agreement, signed between the applicant & the lending institution .The policy for pre closure varies as per the rules & regulations of different Banks. The condition being of a minimum number of EMI, S to be paid before the applicant can pay back the Loan amount. The applicant should make note of the Pre Closure & other terms & conditions of the Bank when signing the Personal Loan agreement. Why contact Yourloanadvisors.com to assist you for the Balance Transfer of your Personal Loan? The Balance Transfer of a Loan is a unique facility provided by the Leading Banks for existing loan users. Though it is cited as a win-win manoeuvre, like all credit instruments the advantages of the same is suited as per individual profile & financial needs. We at yourloanadvisors.com are well placed to give our valued customers a personalised analysis of their current credit status & if taking a Balance Transfer of their personal loan are advisable. Who is eligible to apply for a Balance Transfer of their personal loan? All existing Personal Loan holders who are running their personal loans successfully are eligible to apply for a balance Transfer. A minimum principal loan amount of 50,000 should be balance to apply for a balance transfer. When can a Balance transfer of an existing personal loan be availed? A Balance transfer can be availed at any time during the tenure of a Personal Loan, the terms & conditions for the pre closure being fulfilled. Take a transfer of your loan soonest to gain the maximum benefits. How much time does it take to achieve a Balance transfer of a Personal Loan? The total time taken from the time an application is submitted, till the old loan is closed could take a week to 10 days, so plan your balance transfer with enough time in hand before the next EMI of the previous hits the account. Is there a possibility that the request for a Balance transfer may be rejected? The application for a Personal Loan Balance transfer will be processed by the Bank as for a fresh personal loan application, if it does not satisfy the terms & conditions as per the policy it may get rejected. Will the CIBIL score be considered for a Balance Transfer? Most Banks require a minimal CIBIL score for a personal loan approval; in case the personal loan in question has a record of timely payments, a lower CIBIL score may be accepted. Can I change the tenure of my Loan post the Balance Transfer? The request for a Balance Transfer is viewed as a fresh loan application. If the eligibility permits the applicant can request for tenure from 12 months up to 60 months, as per his ability to pay the EMI. Is it possible to Balance Transfer more than 1 personal loan? Yes, all the existing personal loans of an applicant can be transferred & clubbed under a single personal loan after the Balance transfer process. Is the Balance Transfer of a Personal Loan always beneficial? The Balance transfer of a Personal Loan is advantageous if it serves a specific need, or affects major savings. It is not always a good option, so do contact your loan advisors to give you a complete breakdown of the costs & savings before applying for a balance transfer. What are the major costs of a Balance transfer? The Pre closure Charges; these are the charges to be paid to the parent bank. They vary as per the policy of the Bank; these charges are calculated on the principal loan amount balance. The Processing fees; Most Banks charge a minimal processing fees for a Balance Transfer. The fees are calculated on the Loan amount approved. Is it possible to apply to more than one Bank for a Balance Transfer? Application for a Balance transfer can be forwarded to more than one Bank, but the same is not advisable as it can adversely affect your CIBIL score, so apply to a single Bank using our services to help you identify the right Bank fir the balance transfer of your Personal Loan.